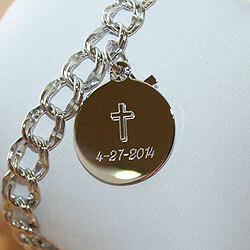 We offer over 64 engravable images you can add to any engravable jewelry or engravable gift item on our site. 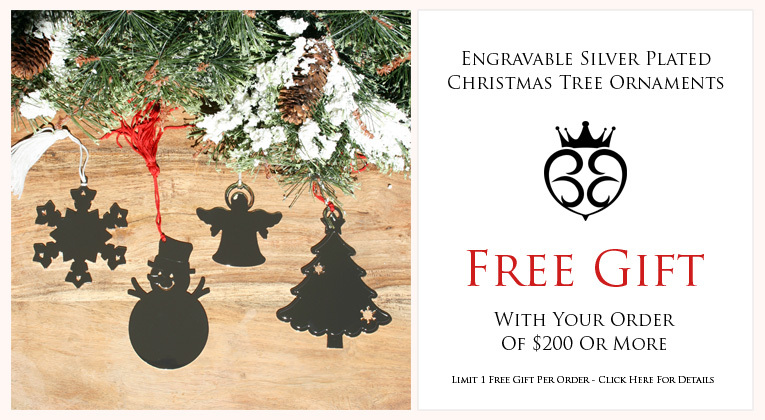 With engravable images you can create a unique and completely custom personalized gift they will rave about. 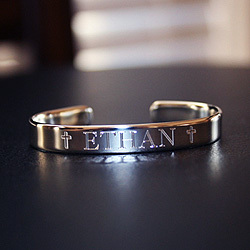 These two beautiful sterling silver engravable cuff baby bracelets show just one way you can add images to your engravable gifts. Combine images - or add text within images. Be as creative as you like. Have questions? 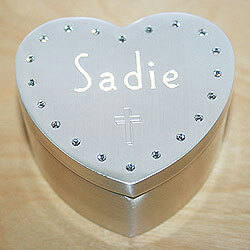 Or need suggestions on the perfect engravable images to add to your engravable gift. Call us at 1-888-707-7772 and we'll be more than happy to help. 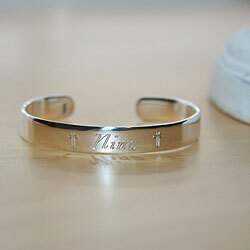 Girl baby cuff bracelet and boy baby cuff bracelet shown with the cross image. 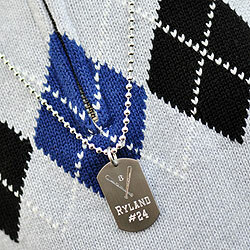 Rembrandt ID tag shown with the baseball bats image. 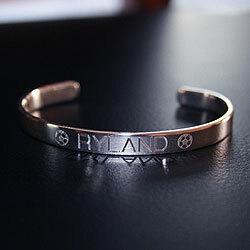 Boys engravable cuff bracelet shown with the soccer ball images. Silver jewelry box shown with the cross image. Round Rembrandt pendant shown with the heart image. 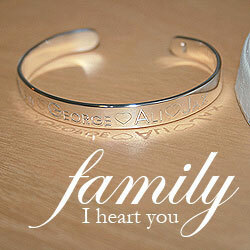 Sterling silver cuff bracelet shown with the heart image. Round Rembrandt charm shown with the cross image.